Tags: Back Trail, Front Open, Lehenga, Mint, Walima & Second Day. 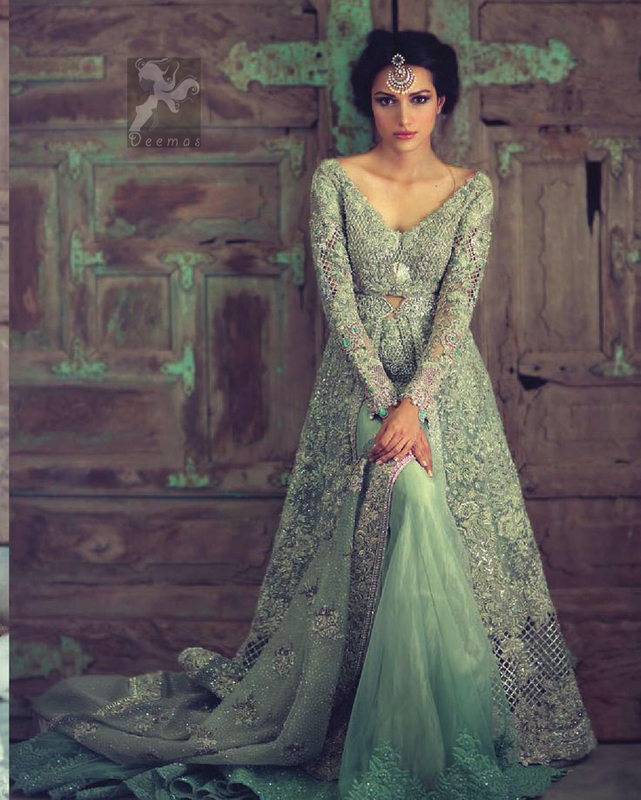 Mint front open gown and back trail lehenga. 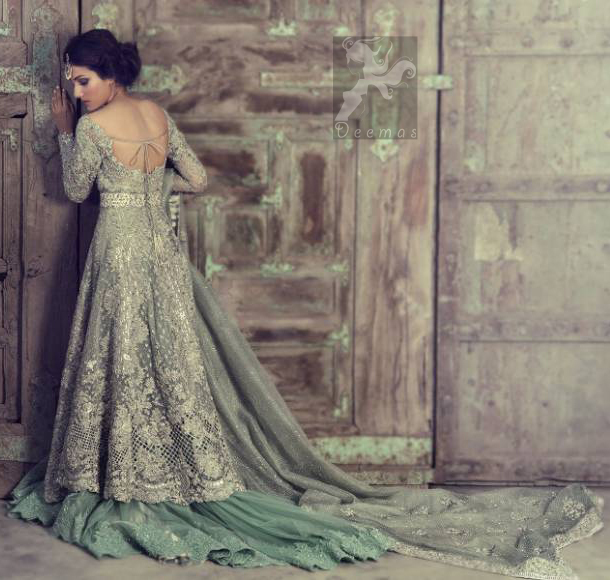 Gown has been adorned with embellishment all over the front and back. 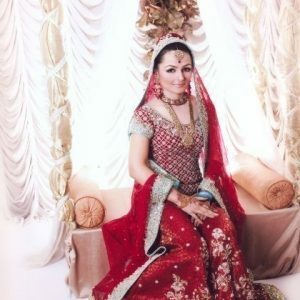 Plain chiffon lehenga with embroidered border at the bottom. Matching organza dupatta contains embroidered border on four sides. 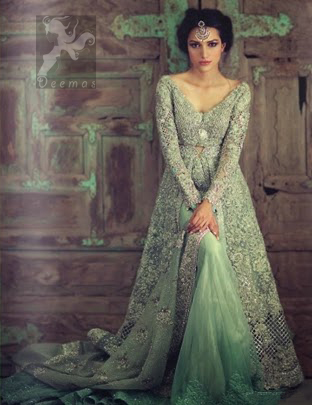 Crystal stone spray scattered all over the dupatta.